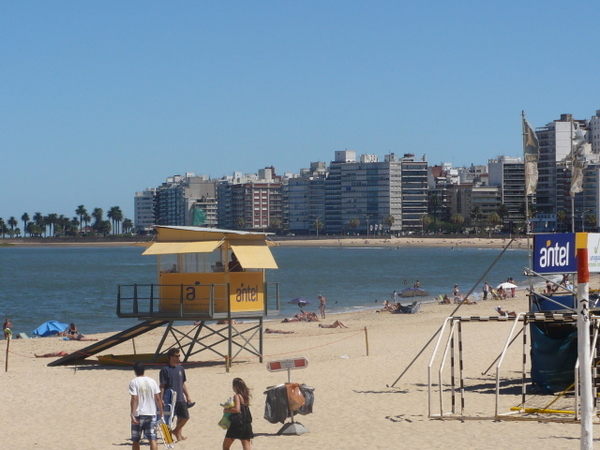 Montevideo is a coastal city on the Rio de la Plata. 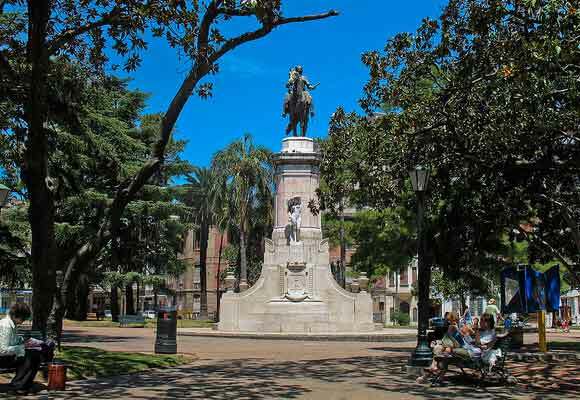 With a population of 1.4 million, almost half of Uruguay’s population, Montevideo is Uruguay’s capital city and is the country’s main commercial and cultural center.The city has many large parks, plazas, tree-lined streets, sandy beaches, and wide avenues. The city also has pedestrian streets, unique neighborhood shops, restaurants, and cafés. Along the Montevideo waterfront is the rambla, the road and wide sidewalk that run along the city’s coastline. The people here take their leisure fishing from the rambla, talking with friends in plazas and cafés, and browsing in outdoor markets. There are 62 distinct neighborhoods covering 200 square miles in the city of Montevideo. However, there are five neighborhoods that are most popular with English-speaking expats: Ciudad Vieja, Centro, Pocitos, Punta Carretas, and Carrasco. This is not an all-inclusive list of good places to consider in Montevideo. There are other great neighborhoods, and special little spots to discover. However, these five neighborhoods are a good place to start. The Uruguayan people are generally calm, laid-back, and non-aggressive and tend to show unlimited patience—both in person and on the road—which adds to the relaxed feeling of the country and will help you settle in retirement. There is so much to do in Montevideo. Just 50 miles from downtown Montevideo, the seaside town of Piriápolis was Uruguay’s first seashore resort, founded in 1893—almost 15 years before Punta del Este, 30 minutes away. At night there is dining, tango classes, theatre and various nightclubs. There is nightly outdoor entertainment at Parque Rodo’s summer amphitheatre during the 40 days of Uruguay’s Carnival. While Montevideo’s seven-mile coastline is not technically “oceanfront,” it looks like the ocean. Beaches are wide and sandy and waves and tides come in and out. During visits at the height of the Southern Hemisphere summer, beaches are thick with sunbathers and water lovers. It can reach the mid-90s (34° C) during the summer. In the winter, most days hit 60° F. Suffice to say that while you won’t need a snow shovel, you will need to use heat in the winter and occasional air conditioning in the summer. Every year more and more North American expats settle in Uruguay, and more expat groups are springing up in Montevideo, making it easier than ever for newcomers to get settled in their new country. You can enjoy a great lifestyle in Montevideo. An abundant water supply, a strong agricultural sector and financial stability with safe and secure banking means that Montevideo is easy to settle in. Uruguayan foods are also a specialty in Montevideo. Gnocchi is a popular food in Italy and is also a favorite in Uruguay. Parrillada is one thing that any true meat-eater must try when visiting Montevideo. Many parrillas (from “grill”, in Spanish) are quite large— sometimes up to six square feet. Uruguay offers old colonial cities, sparkling beach resorts, and a world-class capital. But it also has huge expanses of rolling ranchland, miles of uncrowded and undeveloped beaches, and small towns of every size and description. Uruguay’s music traditions include candombe, tango, and murga; all of which developed in the Río de la Plata basin, and are now Montevideo favorites, with each country developing its own interpretations and unique elements. 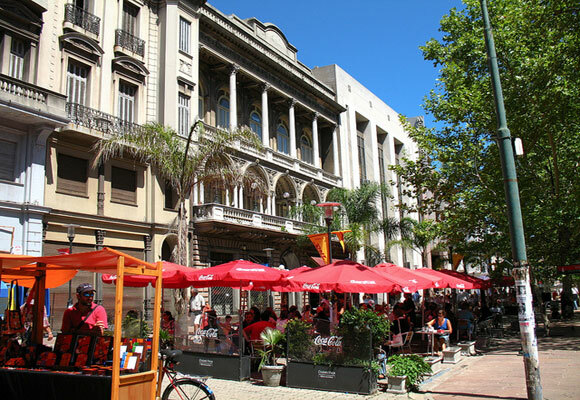 Montevideo is also full of culture and history, with what was once the entire original city of Montevideo, founded in 1730, now Ciudad Vieja’s eight-by-12 block center. This includes the Metropolitan Cathedral, dating from 1790, gracing the plaza, and rows of tall trees shade wooden benches around a white gargoyle- and cherub-decorated marble fountain. Ciudad Vieja is the oldest part of the city of Montevideo. There are English-speaking expats investing in real estate here and most of the properties listed on real estate websites targeting this region were less than $150,000—including refurbished apartments in restored buildings. If you prefer the idea of living in a house, there is a three-bedroom, two-bathroom house situated in the cultural and financial center of the town. Though unfurnished, the home contains all its original features including wooden floors, calcareas tiles, and high colonial ceilings. Price: $150,000. Centro borders Ciudad Vieja on the west, Cordón on the east, and mostly water on the north and south and is another good sector for city living. Located in a bustling part of Centro, is a small but conveniently located apartment with two bedrooms and one bathroom. This 548-square-foot home also includes a living room with a balcony and a newly remodeled kitchen. As the home features double-glazing windows, you do not have to worry about any noise disturbances. Price: $92,000. In the center of Centro, close to the Municipal Palace and the avenue 18 de Julio, is a generous-sized 1,399-square-foot apartment. The home comprises two bedrooms, a bathroom, a toilet, a kitchen, living room, and an office. There is also a balcony with a glass enclosure at the front of the apartment. Price: $150,000. Prices in the Costa de Oro, Uruguay are lower as it is one if the least expensive seashore areas. The cost of living in Montevideo is more expensive, however. 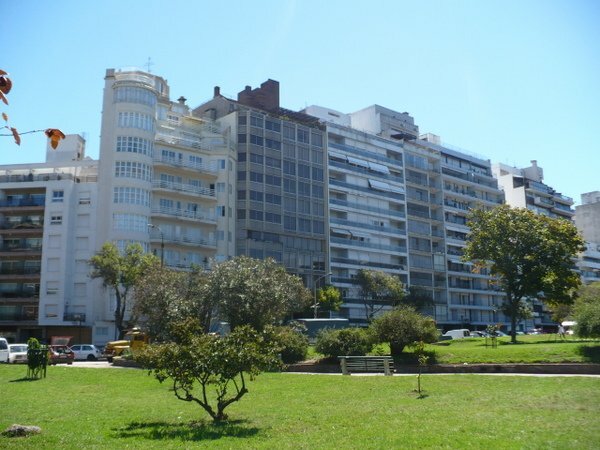 Living in Montevideo can cost upwards of $2,000 for a couple owning an apartment. Owning a car $326. per month, including registration, insurance, maintenance and fuel. Living in Montevideo, Uruguay is becoming increasingly popular for expats looking for an urban environment with a year-round menu of dining, entertainment, cultural events, and social opportunities. However, Montevideo is a big city covering 200 miles with 62 different neighborhoods. So where do you start when looking for a new place to live in Montevideo? Below are the areas where most English-speaking expats decide to settle in Uruguay’s capital city: Ciudad Vieja and Centro, the Pocitos area, and Carrasco. The two oldest neighborhoods of Montevideo are Ciudad Vieja (Old City) and Centro. Ciudad Vieja was the original city of Montevideo when it was founded in 1730. Centro was the first addition to the Old City in 1861. Ciudad Vieja and Centro are Montevideo’s main business and cultural center. This is where you find historic architecture, the city’s original plazas and public monuments. This is also the location of the most hotels, restaurants, theaters, art galleries, and museums. Ciudad Vieja has the highest concentration of government, financial, and professional offices in the city. Approximately 100,000 people come to Ciudad Vieja to work on the weekdays, while only 16,000 people live in the area. For this reason, there is very little happening in the evenings and on Sundays. The exception is the east edge of Ciudad Vieja, near Plaza Independencia and the Solis Theater, where there are fine restaurants and popular bars open at night. In Centro there is a lot going on, at night as well as during the day. The Pocitos area is a secondary and more modern city center comprised of the three adjoining residential neighborhoods of Punta Carretas, Pocitos, and Buceo. Outside of Centro, the Pocitos area has the most restaurants, hotels, and nightlife. All three of these communities have unique characteristics, but for the purposes of this overview, we will lump them together. A third area popular with expats is Carrasco. Carrasco is located on the western outskirts of Montevideo. It is different from Centro and Pocitos in that it has a much lower housing density. Most of the homes in Carrasco are large single-family homes and spacious low-rise apartment buildings with large yards. It is near the Carrasco International Airport (Uruguay’s main airport) and Zonamérica (an office park located in a free-trade zone). While a part of the greater Montevideo metropolis, Ciudad Vieja, Centro, and the Pocitos neighborhood in the Pocitos area, are comprised of connecting neighborhoods with their own markets, butcher shops, hardware stores, and cafés. Things you need on a regular basis are usually just a short walk from where you live. This lends itself to a type of old-world living where you do not need a car, and you get to know the people who own and operate the small businesses and cafés in your neighborhood. Most Montevideo neighborhoods have ferias (fairs). Ferias are farmer’s markets, which are set up once or twice a week. This is where people living in Montevideo get the freshest whole foods at the best prices. Some ferias also have venders selling a variety of goods as well as food. Some of the larger ferias have just about anything you can think of—from clothing to framed prints to hand crafted cookware; it’s all there, usually at below store prices. The large majority of people living in Montevideo do not own a car. When they need to go beyond their own neighborhood, they take the bus or a taxi. There is regular and well routed bus service between all the areas discussed in this article. People from Pocitos regularly come to Centro and Ciudad Vieja for business at government offices, professional appointments, discount shopping, and for a variety of theater, music and cultural events. And people who live in Ciudad Vieja and Centro regularly come to the Pocitos area to go to the mall and the beach during the summer. There are buses that go all the way across the city connecting Carrasco with the Pocitos area, Centro, and Ciudad Vieja. With that said, Carrasco is much more of a car culture, with the majority of homeowners driving to the places they need to go. Most hospitals are located between Centro and the Pocitos area. There is regular bus service from the neighborhoods of Pocitos, Puntas Carretas, Centro, and Ciudad Vieja. Montevideo is known for its good Spanish Language schools. For English-speakers new to living in Montevideo, Spanish lessons are recommended. The Spanish Language schools in Montevideo are in Ciudad Vieja, near the Centro area, and the Pocitos area.